The AuroTorium includes a 59-loudspeaker Meyer Sound cinema audio monitoring system configurable for any format from standard 5.1 up to Auro 22.1. Its consummate audio monitoring system is anchored by six Meyer Sound Acheron 80 screen loudspeakers (upper and lower at left, center and right). A total of 44 HMS-10 surround loudspeakers are deployed as well as a total of nine X-800C cinema subwoofers: six below the screen for the LFE channel plus three additional subwoofers in the rear for surround channel bass management. 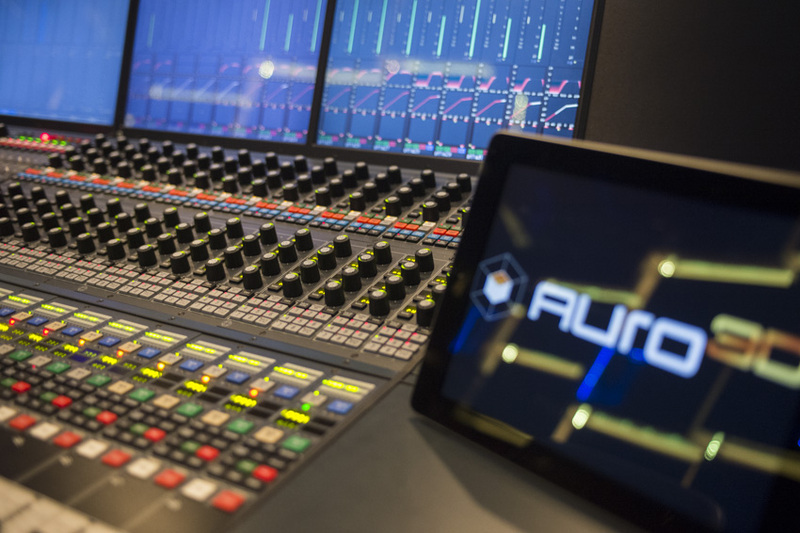 The system may be instantly re-configured for mixing in the standard 5.1, 7.1, as well as all Auro-3D® formats (from Auro 11.1 to Auro 22.1). Fully object based and hybrid channel-object based formats are possible – all with the click of a mouse. 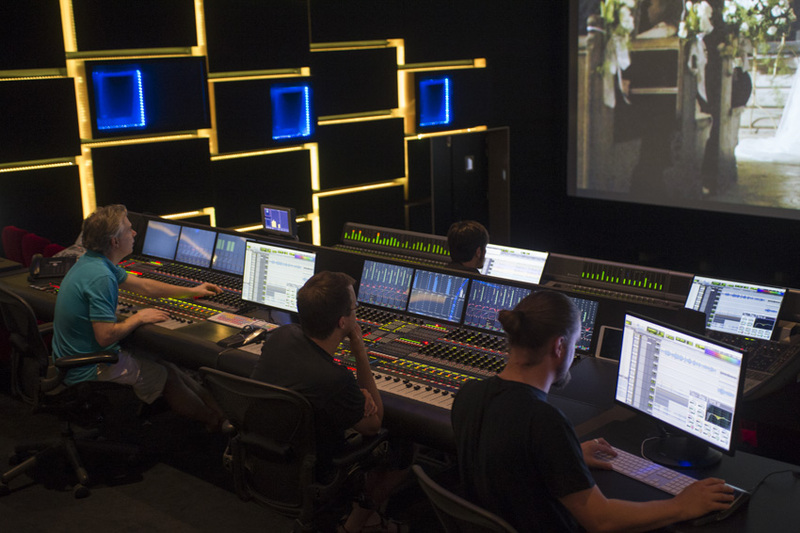 The theater’s production platform offers a unique combination of two mixing consoles sharing the same frame: an AMS-Neve DFC Gemini (Auro-3D® version) with 24 faders and a 32 fader Avid Icon D-control. This provides the dubbing mixer with the benefits of both a control surface and a traditional mixing desk and allows a wide range of possible workflows. Our powerful Pro Tools HDX systems are complemented by TC Electronics System 6000, Lexicon 960L and a large variety of plugins for software processing. For state-of-the-art visuals, the AuroTorium offers dual Barco DP4k-32B projectors, media composer 4k-3D, a Doremi DCP server, and a 13 m x 7 m Harkness matt Preview screen in order to deliver the best visual experience up to 4k in 3D and the High Frame Rates to 60 FR/s per eye. The impeccable room acoustics are credited to concept-A Design. The groundbreaking AuroTorium offers several innovations not found in other post-production rooms. For example, each screen and surround loudspeaker is backlit by a LED “halo” light, allowing a quick visual confirmation of the currently employed surround format. The multi-color LEDs are programmable, allowing each format to have its own color. 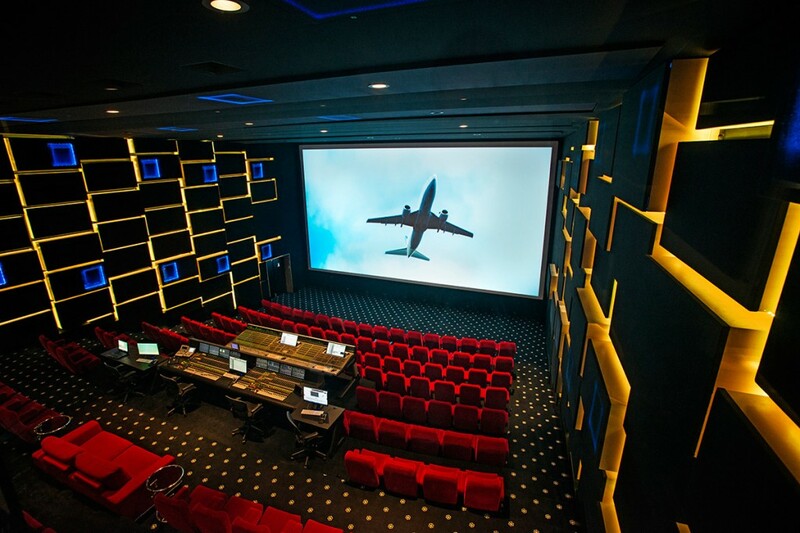 In addition, the triple-use AuroTorium can be fully converted from a dubbing stage to a large high-end screening room or a next generation cinema theater in a minimum of time. The entire production platform is on hydraulic lifts, and can be lowered into storage and replaced by a dozen more VIP luxury seats to provide the full 150 seat viewing capacity. Auro-3D is an adaptive, three-dimensional audio technology that is applicable in several other markets, including gaming, automotive, broadcast, mobile and home theater. 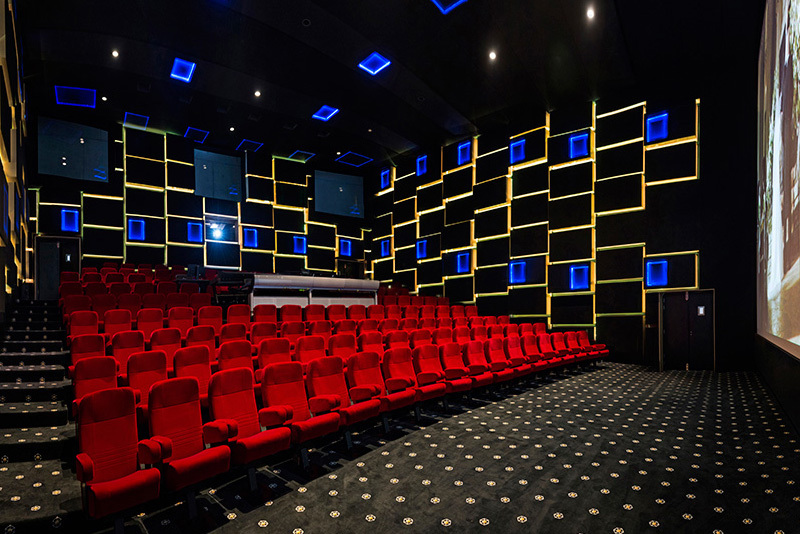 For the cinema exhibition market, Auro Technologies has partnered with Barco in order to deliver the ultimate audio-visual experience of today : Barco Projectors combined with the most immersive audio experience Auro-3D®.